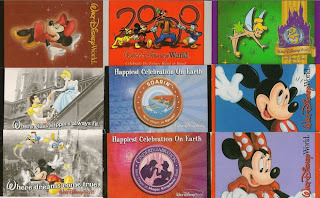 Effective August 5, 2010 Disney World Ticket Prices are increasing. This is part of Disney's annual ticket price increase prior to setting the rates for 2011 Disney World Vacation Packages. The increases are roughly 4% over the 2009 - 2010 prices. Magic Your Way Base Tickets - These tickets allow you to access one of the 4 Disney World Theme Parks (Magic Kingdom, Epcot, Disney's Hollywood Studios, & Disney's Animal Kingdom) per day for the number of days purchased. The tickets are good for 14 days from date of initial use. During each day you are permitted unlimited entry and re-entry of the same park. Tickets are coded to only work for the initial user. All prices reported are before Taxes are added. The Magic Your Way Tickets continue to be priced to benefit those who stay 4 days or longer and penalize those looking for the 1 - 3 day visit. Once you get to 4 days each additional day costs $5 per day to add to the ticket. This is much better than the $82 one day ticket. Park Hopper Option: This option allows you to visit multiple parks per day. It costs a flat rate of $54 to add this option, no matter how many days you purchase for your base ticket. Again this makes it very expensive to add to your ticket if you have 4 days or less. Water Park Fun and More Option: This option entitles guest to a specified number of visits (between 2 and 10) to a choice of entertainment and recreation venues. Choices are Disney’s Blizzard Beach water park, Disney’s Typhoon Lagoon water park, DisneyQuest, Disney’s Oak Trail golf course, ESPN Wide World of Sports Complex. Again this option costs a flat rate of $54 no matter how many days are on your base ticket. The number of visits equals the number of days on your ticket. You do not have to use a theme park day the same day you use one of these option days. No Expire Option: This option makes the unused days on your ticket last forever and are not subject to the 14 day expiration. The cost for this option is steep and it is adjusted based upon the number of days on your Base Magic You Way Ticket. Annual Pass entitles guest to unlimited admission for 365 days from the activation date (except activities/events separately priced) to Magic Kingdom, Epcot, Disney’s Hollywood Studios and Disney’s Animal Kingdom, as well as complimentary parking. 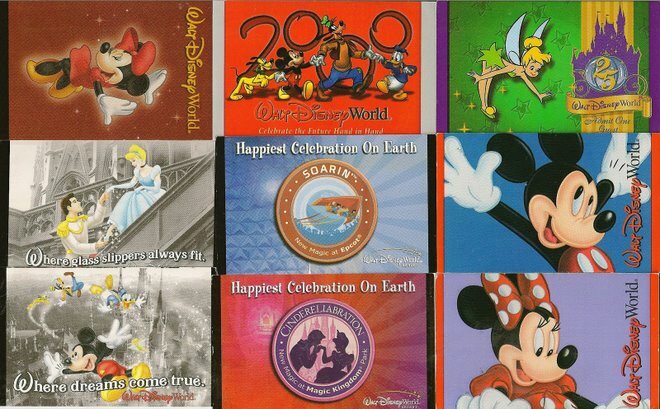 Premium Annual Pass entitles guest to unlimited admission for 365 days from the activation date (except activities/events separately priced) to Magic Kingdom, Epcot, Disney’s Hollywood Studios, Disney’s Animal Kingdom, Disney’s water parks (Blizzard Beach and Typhoon Lagoon), Disney’s Oak Trail golf course, DisneyQuest and ESPN Wide World of Sports Complex, as well as complimentary parking. 0 comments to "2010 - 2011 Disney World Ticket Prices Announced"